WHEN WE WAS FAB has now sold out. Created by Astrid Kirchherr, who has collaborated on several Genesis limited editions, WHEN WE WAS FAB has a very special place in our library. 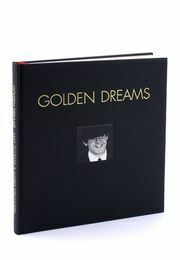 Astrid’s books GOLDEN DREAMS and HAMBURG DAYS are still available and can be ordered here. Astrid first met The Beatles in Hamburg in 1960, when they were still developing their sound and style. Her early photos became some of the most iconic images of the band and were shared across the world. 43 years after taking them, Astrid was able to print and showcase her photographs exactly as she wanted. WHEN WE WAS FAB is Astrids swan song, featuring the most memorable moments across her career as well as the photos that made her famous. These photographs were presented to what was at the time groundbreaking standards of printing and binding. Astrid dedicated WHEN WE WAS FAB to George Harrison (pictured left) and Olivia wrote the foreword. 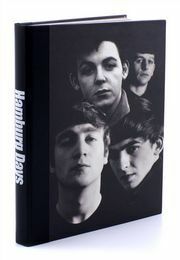 The book was extremely well received across the world, with launches in Hamburg, Berlin, London and Liverpool in Summer 2003. To find out more about Astrid’s books, click here.